The idea of the URBAN RIGGER was born in Copenhagen, in the fall of 2013, by the company’s founder Kim Loudrup. The objective was to develop a revolutionary and innovative floating dwelling system that will have a positive impact on the housing situation for students in Europe, as well as completing an attractive untapped and geographically independent niche in the market, namely “the water ways”; Thousands of kilometers of unused quays across the harbours, canals and river intensive cities across the world. The objective was also to prove that it is possible to find a balance between idealism and sound business – you just have to look for it. Copenhagen seemed perfect as a starting point by being one of the ten most costly cities in the world to live in. This puts pressure on many, but especially the younger generations – our future, who have managed to get accepted into a higher education at the university, which are typically located centrally in the cities. Every year thousands of newly enrolled students wind up on the student housing office’s official list of people in urgent need of a place to live. It is a well-known fact that the real problem by far exceeds the official registration; a situation that, by all standards, is completely unacceptable. mutual friend, and it took the visionary architect less than 3 minutes to see the need and the potential for the concept. 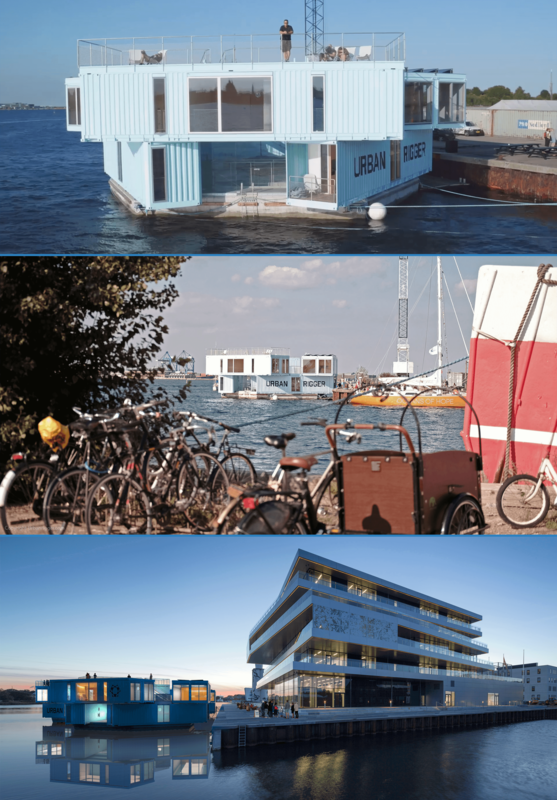 He immediately added a fourth dimension to the design – to what is known today as the URBAN RIGGER Version 1.0.
in the summer 2016, in Copenhagen, as the first of a potential fleet of mobile, sustainable dwellings for students, refugees and others in urgent need of a home.